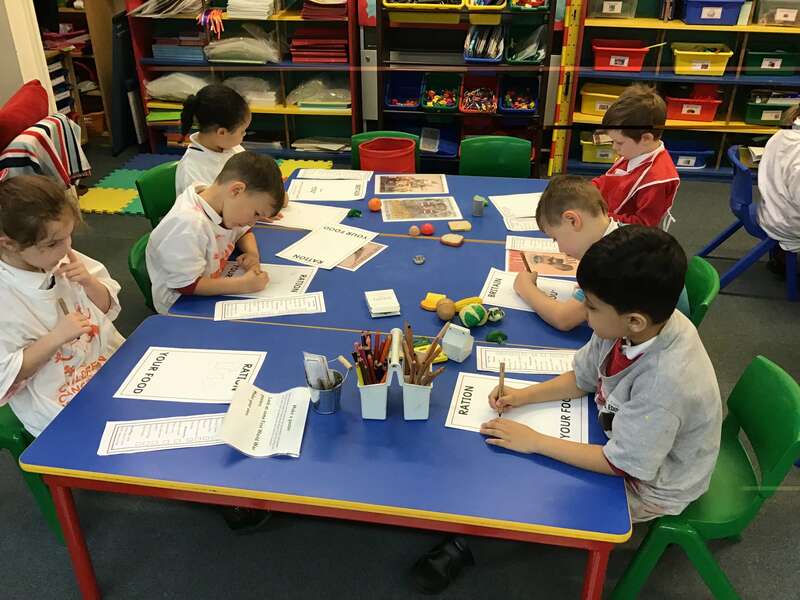 Year One have been working alongside Reception this week for our Centenary Celebrations. 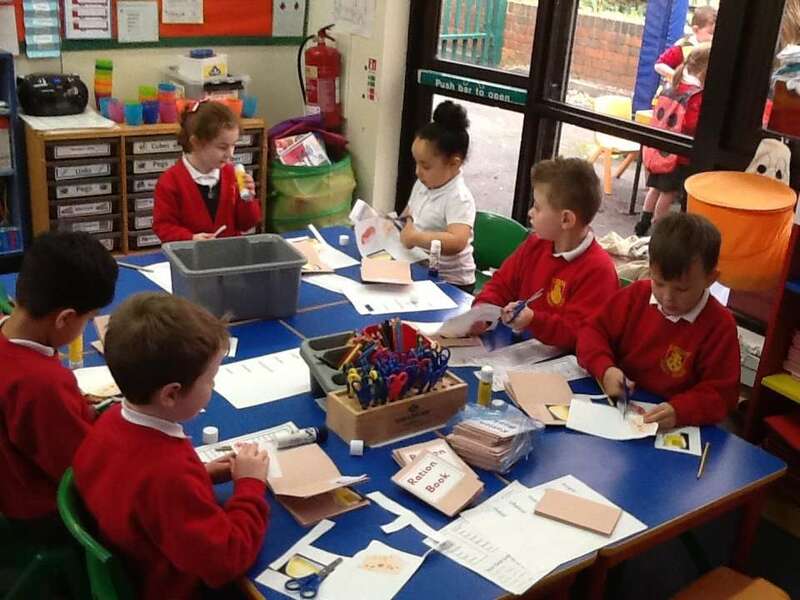 They have been busy taking part in lots of activities all linked to World War One. The children learnt all about rationing and why it happened and were able to make their own ration books. 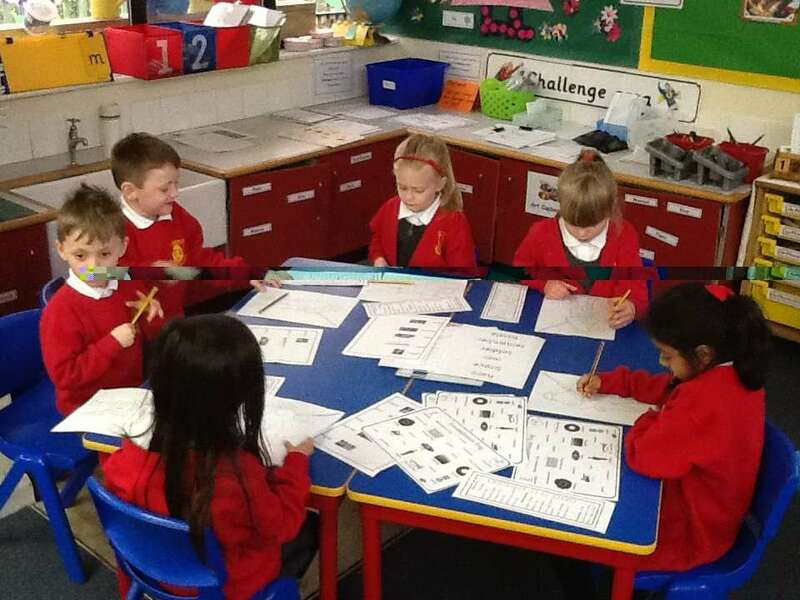 They wrote words about the war in the outline of a WW1 soldier. 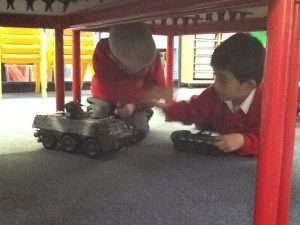 They also had a good time playing with the soldier and tanks. They children played underneath the desk imagining that they were in the trenches. 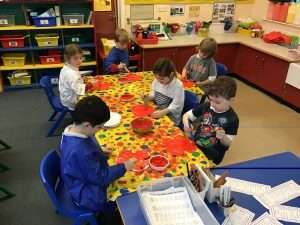 The children also painted their own paper plate poppies which look fantastic hanging in class. They designed their own war posters after studying pictures with excellent results! 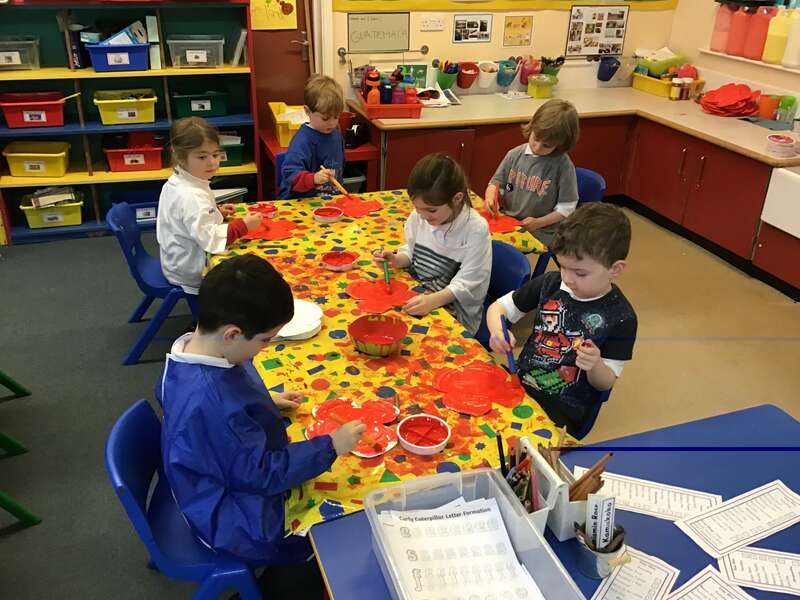 The children made candle holders in the shape of poppies that they are going to paint in forest school next week. 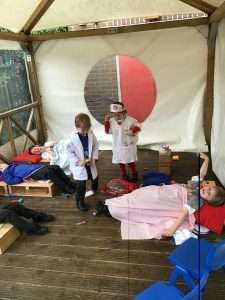 The WW1 doctors and nurses were very busy in the field hospital that was set up in the outdoor area. 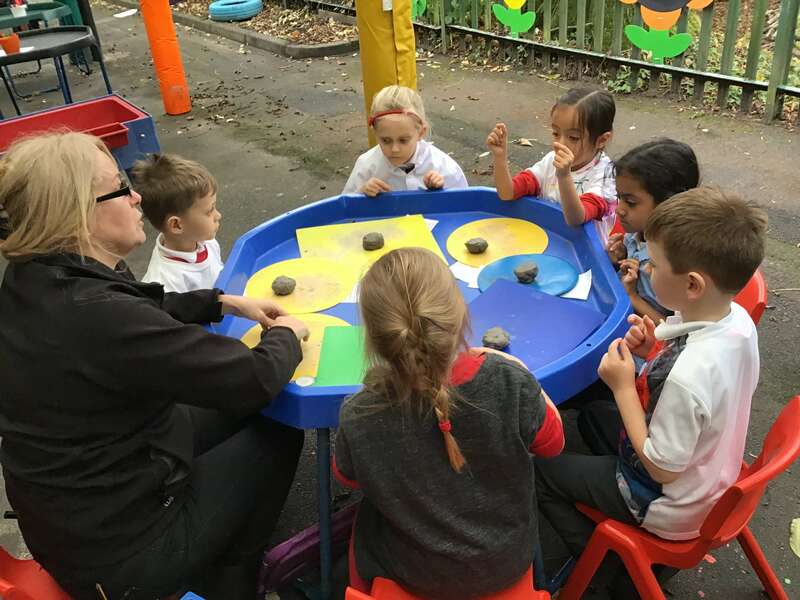 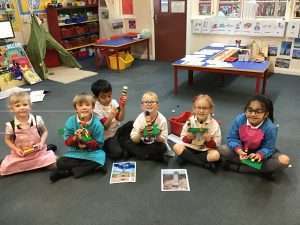 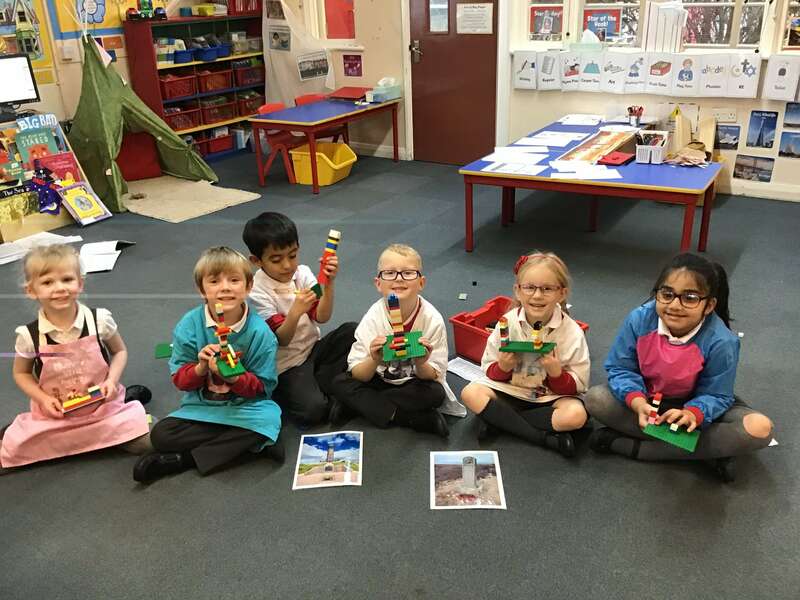 The children were very interested to learn that there are more than 65,000 War Memorials in the UK and overseas and so they decided to have a go at building their own. 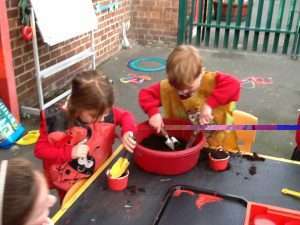 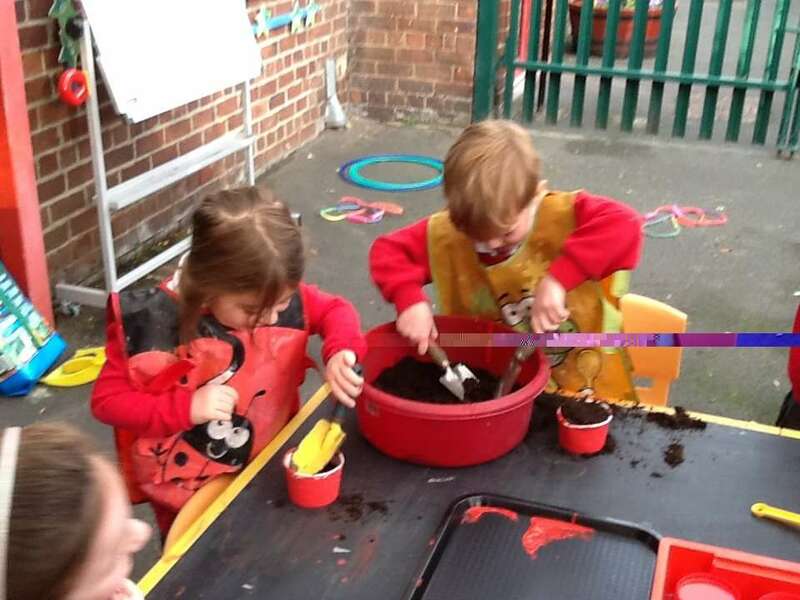 They also planted their own poppy seeds that will hopefully grow! The children made their own poppy crosses, they listened to the Last Post then planted their crosses our Remembrance Garden. 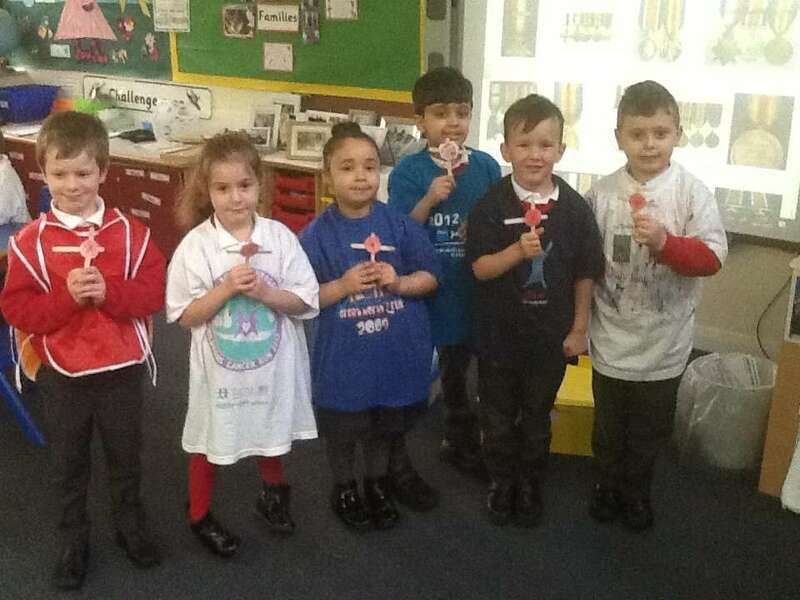 The children were lucky enough to get to hold two actual WW1 medals. 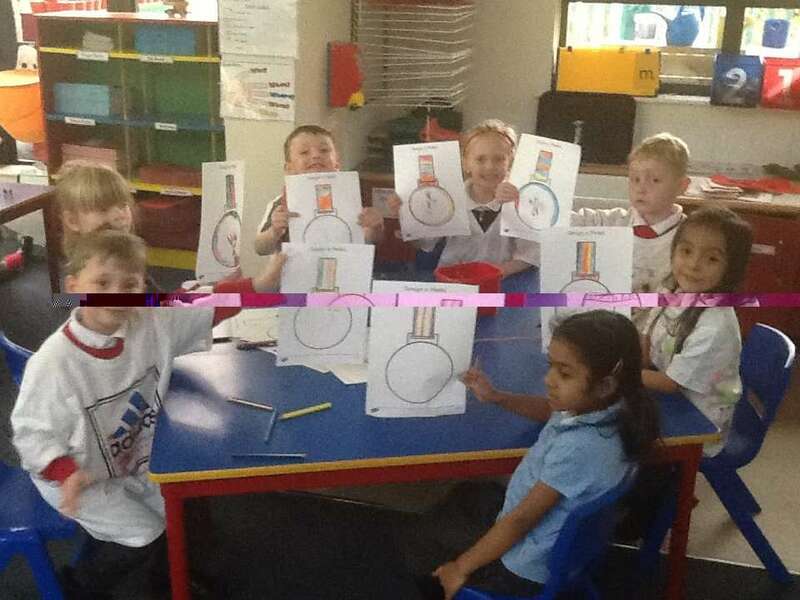 They used these as inspiration to design their own medals. Year One have had such a fun but busy week!